Yearning after the gorgeous breads that Safa Hemzé made at SFBI this winter using specialty flour starters, I decided to make a spelt miche. When I started rummaging in my flour chest however, I discovered we were all out of spelt but that we had a cache of whole kamut flour I had completely forgotten about. So I switched grains. 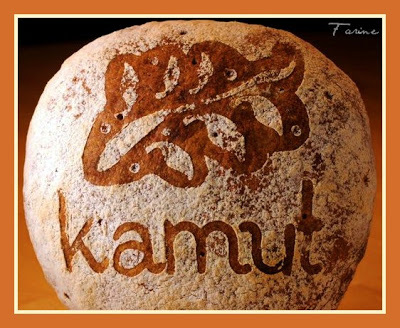 Kamut is actually a brand. The common name of the cereal is khorasan. But good luck with finding khorasan in the stores! As the story goes, it was found in an Egyptian tomb by an American who shipped a few grains home to his father. The father sowed the grains and trademarked the name. Originally from Mesopotamia, kamut as we know it is organically grown in the United States. 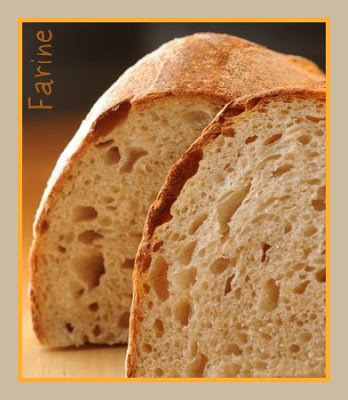 It is richer in protein and some minerals, especially selenium, than wheat but poorer in gluten. It is sometimes tolerated by people who can’t have wheat, not however by people who have coeliac disease (according to Wikipedia). I took a portion of my white starter (100% hydration), fed it twice with kamut and decided it was ready although it looked definitely less perky than when fed with wheat. But ready it was because even though I chose a long fermentation over the addition of instant yeast, it gave me a very satisfactory oven spring. I find doughs have a mind of their own and – most of the time – it’s fun to look for it and discover it and then work with it. Lower the oven temperature to 450 F/232 C and bake for 30 to 40 minutes. The inside temperature of the loaf should be over 205 F/96 C.
The Kamut Miche goes to Susan, from Wild Yeast, for Yeastpotting. Hi MC, what an interesting flour you used. I think I saw kamut flour in my local organic store too. The crumb looks delicious! What is the taste of this flour, all else being equal? Does it have a distintive taste of its own? Great Miche! Looks wonderful, you're a real master! 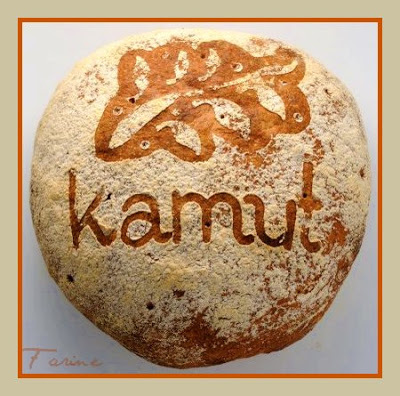 Very beautiful bread.The kamut flour–something new for me.Very interestingiy. I don't find the holes distracting and you did a beautiful job on the stenciling! How lovely and quirky! I love how you present this bread. 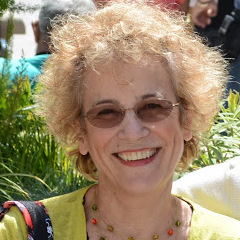 Good evening, I'm writing to you to ask your permission to use your picture for a banner. It's for a contest in an italian blog about Kamut.